Ms. Esther Lee McNair, daughter of the late Evander McNair and Ada McNair was born September 26, 1940 in Rowland, North Carolina. She was the matriarch of a family of 10 siblings, 5 brothers and 5 sisters, who came from humble beginnings. Esther attended the public schools of Roberson County North Carolina and graduated from Rowland Southside High School in 1958. At an early age she joined Beauty Spot A.M.E Zion. Her journey continued when she relocated to New York City in 1958. Her first job upon her arrival in New York was that of a Nanny, working for her cousin Sally Parnell. Her career employment pursuits landed her a job at the historic Roosevelt Hospital in New York. She was a Certified Nursing Assistant at Roosevelt Hospital and while there she provided care for a legendary rhythm and blues recording artist. She was employed in the capacity of Administrative Assistant for National Distillers and Chemical Inc. The year was 2006 when Esther would retire from United Scenic Artists local 829, also known as the United Scenic Artists of America, where she was a coordinator, setting up props, assisting with organizing designers, artists and craftspeople in the entertainment and decorative arts industries. Esther was heavily involved in the church following relocation to New York where she joined St. Luke A.M.E church and served under the leadership of Reverend Richard R. Stokes. She served as the church secretary for over 20 years under Reverend Stokes, Reverend Frank S. Emanuel and Reverend Melvin E. Wilson. 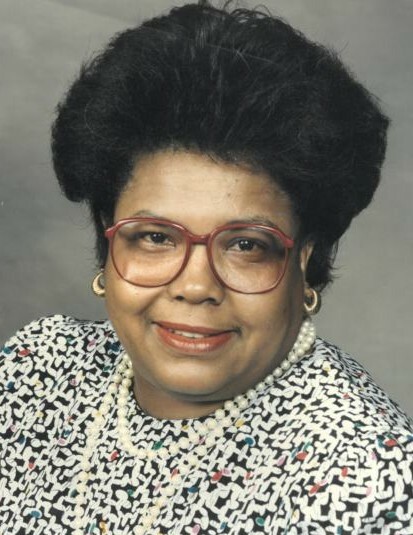 She was a member of the trustee board, the St. Luke AME Scholarship committee, Allen Brown choir, Stewardess Board No.5, Culinary Ministry, and a member of the North Carolina Ministry. Esther was in a vocalist and member a group known as The Choraliers, consisting of 2 male and 3 female vocalists. 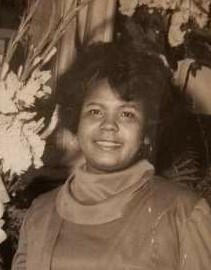 It is believed that she may have joined the church in 1974, the same time she joined the Allen Brown Choir. Following retirement Esther received news that her sister Vivian McNair Galloway, the 4th child of her siblings had been in a near fatal accident in South Carolina. Esther traveled south, remaining at her sister’s bedside, providing care for her as Vivian recuperated. During her stay she attended services and fellowshipped at First Euhaw Baptist Church in Ridgeland, South Carolina, where Vivian’s husband is Pastor. There’s just something about a Woman who wears hats. Esther was a hat-wearer. She adorned her head with many beautiful hats to express her individuality and creativity. Esther was a woman of quiet grace, elegant, charming, outgoing and kind. She was a devoted mother, grandmother, and sister. Esther was extremely proud of her daughter, Michelle. The bond she shared with the McNair Sisters was unbreakable. She enjoyed reading, traveling and gardening. She loved the Lord and enjoyed singing. As we listen we can hear her singing in God’s Heavenly Choir. A link in the McNair family chain is broken; a bright light in the spiritual form of an amazing woman and human being, carrying through her lifetime the biblical name Esther has been extinguished. On Tuesday December 11, 2018, Ms. Esther Lee McNair peacefully departed this life at her daughter’s residence in Clover, SC. In addition to her parents, she was preceded in death by two brothers, Dwight and Webster McNair. Ms. Esther Lee McNair leaves to cherish her unforgettable memories, one daughter, Michelle (Stacy) Alexander; grandchildren, Kayla (Charles) Hamilton and Kameron Johnson; great grandchildren, Sarah, Charles, Jr. and Elijah; siblings, Martin McNair, Vivian (Rev. Dr. William A.) Galloway, Cora McNair, Delores McNair, Burns (Carolyn) McNair, Gilbert McNair and Sylvia (Oscar) Spaulding; her devoted care providers, Randeen McFarlane and Randyann McFarlane; her memories will be treasured in the hearts of her nieces, nephews, other relatives and caring friends; to include friends and families of Beauty Spot Methodist Church, St. Luke AME Church, First Euhaw Baptist Church and Plaza United Methodist Church.